This polyresin product is painted in outdoor paint and comes with a blue LED flickering light. 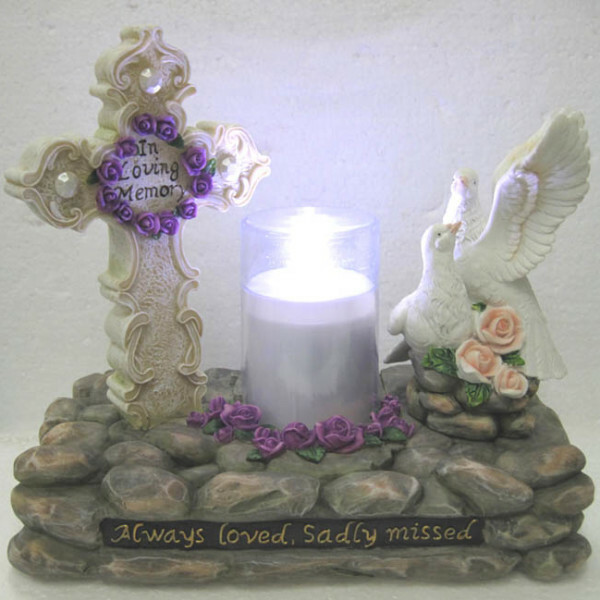 It features a Cross and Doves along with a blue LED Light. The light lasts for up to 3 months at which time the AAA batteries can be changed. Size in CM LxWxH 23.6×13.7×32.4.